Research Interest: Regulation of cell death and survival in the heart. Heart disease, the leading cause of death in the United States, is frequently characterized by death of cardiac myocytes due to apoptosis, dysregulated autophagy, and/or necrosis. Adult mammalian cardiac myocytes are highly differentiated cells with very limited self-renewal capacity, rendering the injured heart unable to repopulate with sufficient replacement myocytes. Understanding the mechanisms underlying cardiac cell death will allow the development of novel therapeutic strategies to counteract cell loss following myocardial injury and should greatly improve morbidity and mortality. 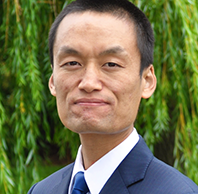 Cheng’s long-term research goals are to identify novel regulators governing cardiac cell death (apoptosis, autophagy-related cell death and programmed necrosis) using biochemical, molecular, cellular, genetic, physiological, and histological approaches for the purposes of developing new preventive, diagnostic and therapeutic strategies for heart disease including myocardial infarction, reperfusion injury, chemotherapy cardiotoxicity, and cardiac hypertrophy. Xia P, Liu Y, Cheng Z. Signaling Pathways in Cardiac Myocyte Apoptosis. Biomed Res Int 2016:9583268. Cheng Z, DiMichele LA, Rojas M, Vaziri C, Mack CP, Taylor JM. Focal adhesion kinase antagonizes doxorubicin cardiotoxicity via p21(Cip1.) J Mol Cell Cardiol. 2014;67:1-11. Liu Y, Ye X, Mao L, Cheng Z, Yao X, Jia X, Mao D, Ou L, Li Z, Che Y, Liu N, Steinhoff G, Liu L, Kong D. Transplantation of parthenogenetic embryonic stem cells ameliorates cardiac dysfunction and remodelling after myocardial infarction. Cardiovasc Res. 2013;97(2):208-18. Cheng Z, DiMichele LA, Hakim ZS, Rojas M, Mack CP, Taylor JM. Targeted focal adhesion kinase activation in cardiomyocytes protects the heart from ischemia/reperfusion injury. Arterioscler Thromb Vasc Biol. 2012;32(4):924-33. Liu X, Duan B, Cheng Z, Jia X, Mao L, Fu H, Che Y, Ou L, Liu L, Kong D. SDF-1/CXCR4 axis modulates bone marrow mesenchymal stem cell apoptosis, migration and cytokine secretion. Protein Cell. 2011;2(10):845-54. Cheng Z, Sundberg-Smith LJ, Mangiante LE, Sayers RL, Hakim ZS, Musunuri S, Maguire CT, Majesky MW, Zhou Z, Mack CP, Taylor JM. Focal adhesion kinase regulates smooth muscle cell recruitment to the developing vasculature. Arterioscler Thromb Vasc Biol. 2011;31(10):2193-202. Sussman MA, Völkers M, Fischer K, Bailey B, Cottage CT, Din S, Gude N, Avitabile D, Alvarez R, Sundararaman B, Quijada P, Mason M, Konstandin MH, Malhowski A, Cheng Z, Khan M, McGregor M. Myocardial AKT: the omnipresent nexus. Physiol Rev. 2011;91(3):1023-70. Avitabile D, Bailey B, Cottage CT, Sundararaman B, Joyo A, McGregor M, Gude N, Truffa S, Zarrabi A, Konstandin M, Khan M, Mohsin S, Völkers M, Toko H, Mason M, Cheng Z, Din S, Alvarez R Jr, Fischer K, Sussman MA. Nucleolar stress is an early response to myocardial damage involving nucleolar proteins nucleostemin and nucleophosmin. Proc Natl Acad Sci U S A. 2011;108(15):6145-50. Cheng Z, Völkers M, Din S, Avitabile D, Khan M, Gude N, Mohsin S, Bo T, Truffa S, Alvarez R, Mason M, Fischer KM, Konstandin MH, Zhang XK, Heller Brown J, Sussman MA. Mitochondrial translocation of Nur77 mediates cardiomyocyte apoptosis. Eur Heart J. 2011;32(17):2179-88. Cheng Z, Ou L, Liu Y, Liu X, Li F, Sun B, Che Y, Kong D, Yu Y, Steinhoff G. Granulocyte colony-stimulating factor exacerbates cardiac fibrosis after myocardial infarction in a rat model of permanent occlusion. Cardiovasc Res. 2008;80(3):425-34. Cheng Z, Liu X, Ou L, Zhou X, Liu Y, Jia X, Zhang J, Li Y, Kong D. Mobilization of mesenchymal stem cells by granulocyte colony-stimulating factor in rats with acute myocardial infarction. Cardiovasc Drugs Ther. 2008;22(5):363-71. Cheng Z, Ou L, Zhou X, Li F, Jia X, Zhang Y, Liu X, Li Y, Ward CA, Melo LG, Kong D. Targeted migration of mesenchymal stem cells modified with CXCR4 gene to infarcted myocardium improves cardiac performance. Mol Ther. 2008;16(3):571-9. Cheng has received funding support from the National Institutes of Health and the American Heart Association.